It's been an interesting week of follow-ups after last week's "The Future of SharePoint" event held at San Francisco. The world is excited about the many new (really new) functionalities and tools that were presented. Today I tested one of them - Microsoft Flow, which is still in Preview and is available to Office 365 FR tenants (or select FR people only). 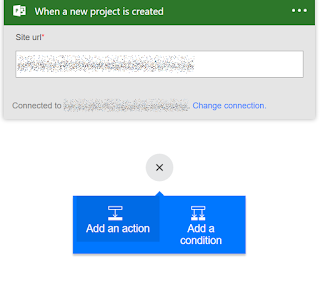 Flow is similar in concept to IFTTT ('If This Then That'), but aimed at organizations rather than the individual, which means you can't get to it if you don't have a work or school account (Office 365). Similar to Planner, the tool is not yet integrated into SharePoint, but feels like standing a little bit aside from it with its own domain: https://flow.microsoft.com. It does, however suggest future tighter integration with Office 365 and SharePoint Online, as today I saw the Flow tile in the App launcher. Going to the Flow website, very similar to Power BI and Planner, you need to Sign Up. Once signed in, you can either browse the available Templates ("recipies ready to cook") which will allow you to connect about 35 services or you can start a new flow from scratch. In my example, I'd like to be emailed every time someone creates a new project in Project Online (which is the cloud brother of the newly released Project Server 2016. 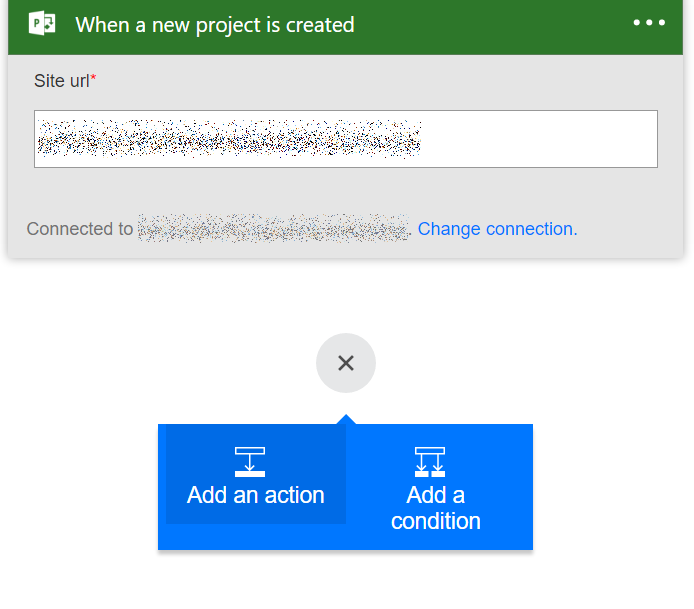 Here you'd need to provide the URL for your PWA site collection, then you have just two basic options - "Add a condition" or "Add an Action" - just like the old school workflows for WSS 3.0. That's understandable as Flow is designed to be simple in its core. So it's definitely not a full-blown Business Process Automation solution (like Nintex, for example) and the flows here are per user, so no centralized store and management of those. When you choose "Add an action", you see the available hardcoded actions, sorted by the service they're related to. Send Email is under Office 365 Outlook. You'd need to sign in. You can then configure the recipients, subject and body of the email - the basics. There are some predefined lookups to the current item that you can insert like Project Name, type, etc. That's cool, you just click on them and add them where appropriate. Then all you need is a name for this new simple flow, you click Create Flow and Done. Looks simple and clean to me. What are your thoughts? Have you signed up for Flow and tested it yet?